Don’t we all hate those pesky dark patches on our elbows and knees? Before we jump to the solution, it’s important to know what causes it. Stress, friction, improper hygiene, sun exposure and a buildup of dead skin cells are some of the most common reasons why you have ashy skin on your elbows and knees. We know at times it can get annoying (especially if you’re wearing anything sleeveless or above the knee). Fear not, because we know exactly how to go about it! Here are 7 ways to deal with ashy skin on your elbows and knees! The skin on your elbows and knees tend to be more delicate and prone to damage from the harsh UV rays of the sun. That’s why it’s important to protect it by applying sunscreen. You can also apply a tad bit of ointment containing vitamin E as it's known to repair the skin’s texture too. Don’t forget to moisturize your skin just before you step out. It helps keep skin hydrated and lightens it gradually. One of the most effective ways to get rid of ashy skin on your knees and elbows is proper exfoliation. It helps remove dry, flaky and dead skin cells that get trapped in the creases of the elbows and knees. This is one of the main reasons for your skin’s dark appearance. When this happens, you’ve got to scrub it out! You can either use a pumice stone, a washcloth or a loofah to do this. You can also make your own natural scrub by mixing 1 tablespoon of brown sugar and olive oil. Apply it once a week for best results. 3. Don’t Forget To Moisturize After! Did you know that if your skin is dry, it’s more likely to darken? That’s why you need to moisturize it often! You can do so after scrubbing, bathing, before going to bed or just before you step out. For best results, pick up a lotion that contains shea butter, jojoba or olive oil. Otherwise, good old Vaseline is perfect. Once you apply it to your elbows and knees, you can use a scarf or a cotton cloth to wrap it around and keep it that way overnight to soak well into the skin. For maintaining healthy skin, it’s very important to eat right. Opt for foods like boiled spinach, sweet potatoes, fresh carrots, juicy lettuce and dried apricots, as they’re rich sources of vitamin A and E. The more greens you eat, the happier your skin will be! There’s a reason why people swear by lemons. They make for a great home remedy for dealing with dark patches on your elbows and knees. This tiny fruit is citric in nature and is considered to be a natural bleaching agent as it helps lighten skin. All you have to do is slice a lemon in half and rub it on your elbows and knees. Leave the juice and pulp to soak in your skin for 3-4 hours. After the wait is over, wash it off with lukewarm water. Don’t forget to moisturize the area using your favourite lotion after. Do this religiously every day and the results will be visible after a couple of weeks. 6. Baking Soda To The Rescue! Consider baking soda to be a natural beauty ingredient. Like lemons, baking soda too has bleaching properties. The kind that can help lighten dark spots on elbows and knees. Mix it with milk, which is super moisturizing. You can start by adding a teaspoon of baking soda in a small bowl of milk. Stir them well, and gently massage your skin in a circular motion using this paste. Do this every day to get the best results. 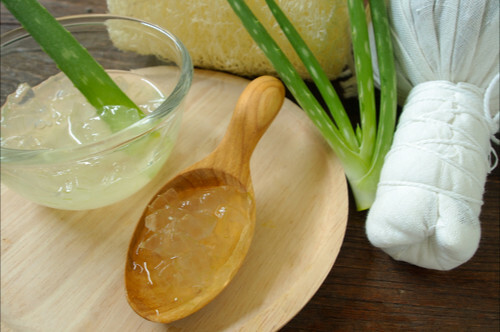 For giving skin a lighter complexion and a softer texture, aloe vera gel is by far the best. Applying the gel directly to your skin will protect it from sunburns and dirt. Slice a tiny bit of the plant, and scoop up the gel using a metal spoon. Now, gently apply it over the dark spots and leave it to dry for a good 30 minutes. Wash it off using warm water. Once you do, your skin in these areas will instantly feel smooth, soft and bright. Images: Shutterstock HAVE A STORY IDEA FOR POPxo? If you want to hear about it, we can write about it! Just tell us your idea here! 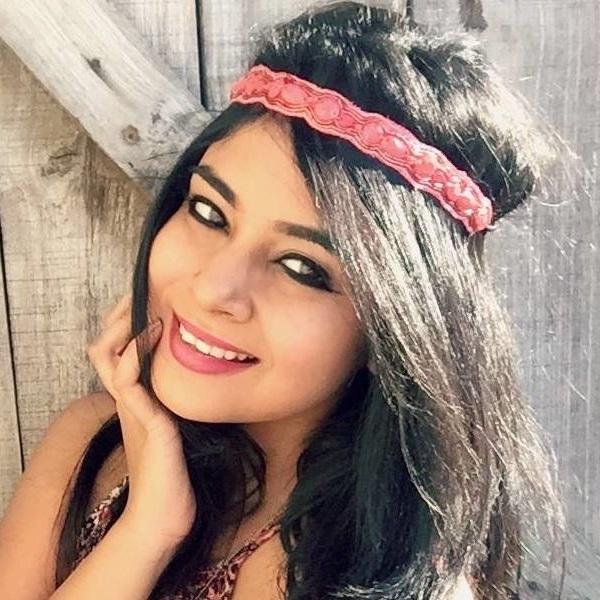 MUST-READ: How To Deal With Dark Circles – Without Using Makeup! MUST-READ: 9 Home Remedies To Deal With Dark Patches & Uneven Skin Tone!